Like lots of parents, we’re always trying to introduce learning by stealth – give us something that combines education with fun and we’re all over it. 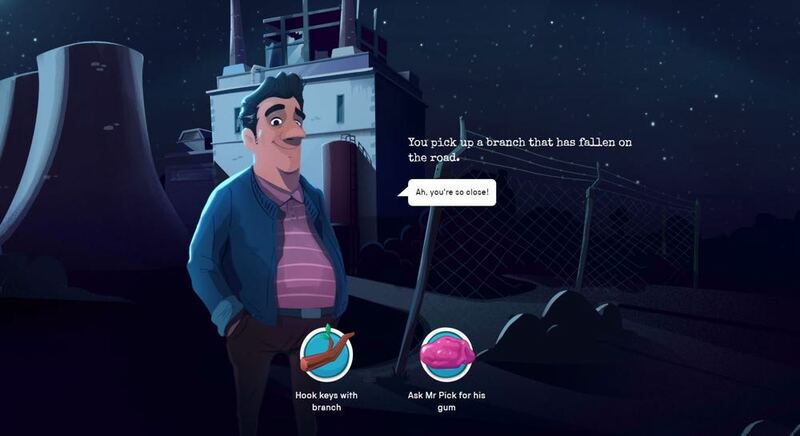 Total Darkness is exactly that - a new, free online game from the Science Museum Group, especially designed for children aged 7-13. Players have a limited amount of time – as long as the batteries in their torch stay alive – to step into an online world that has been plunged into darkness and use their science skills to try and find out what caused the mysterious power cut. Game play will help to get kids thinking like scientists – using everyday skills, they might not realise relate to STEM subjects – Science, Technology, Engineering and Maths. Total Darkness is very interactive; players navigate through the darkened streets of the town, armed only with a torch, facing challenges, from lost pets to melting ice cream, that require developing their skills in curiosity, communication and creative problem solving. Along the way they will meet a cast of curious characters in an effort to find new theories as to what might have caused the blackout. Things get interesting as every step you take requires battery power meaning you have a limited time to discover and then prove – or disprove – one of the five possible theories on what might have caused the blackout. The kids won’t realise it but each decision they make teaches them how skills they use every day can help them develop their confidence in scientific thinking. Each choice and action throughout the game helps improve their score in curiosity, creativity or communication points. When the game ends, the skills the player has used will be revealed along with their science style, showing how they could put their skills into action in the real world. The game isn’t super easy; it took us (an adult, an 8 year old and a 12 year old) four tries before we were able to find out what caused the power cut! Although Total Darkness is aimed at kids age 7 to 13, adults can play solo or with the kids; we liked the idea of playing as a family and helping the kids when things got a little too tricky. As the new science GCSE gives 40% of its marks for the application of knowledge and understanding of science, it’s wise to help your kids develop their skills in critical thinking, communication and creative problem solving early and games like Total Darkness have been created to enhance the skills kids use in gaming and apply them throughout science. Do you also love the idea of your kids playing a game about science that doesn’t feel like a game about science? Total Darkness is free to play on smartphone, tablet and desktop.